For Laura Parent, her junior year was a dream season — which, going into her senior year, became the problem. 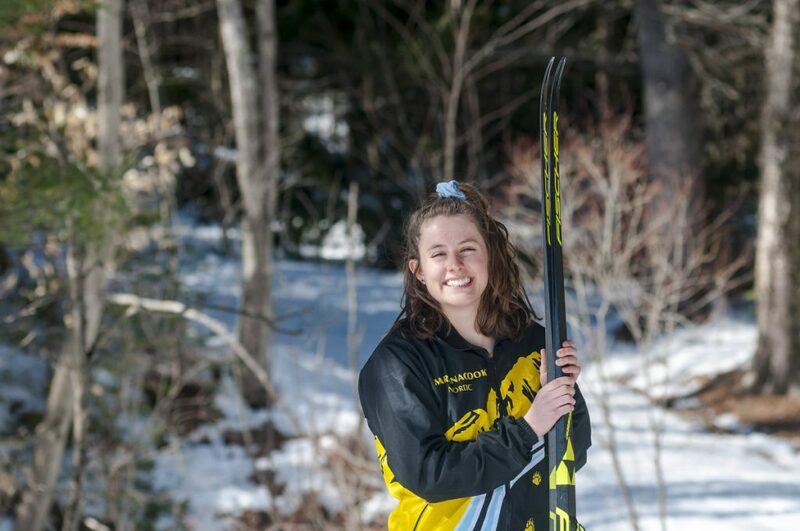 The Maranacook standout won the classical race and was second in the skate race at the Class B championships, leading the Black Bears to the state championship last season. So when the time to follow up those accomplishments came, Parent noticed fewer of things she enjoyed about racing and more of the things she didn’t. Like pressure, expectations and her own high standards. Staff file photo by Michael G. Seamans Maranacook's Laura Parent (28) leads Mt Blue's Meg Charles, left, and Morse's Jenny Wilbraham in the Cougar Soft 7 race earlier this winter at Titcomb Mountain in Farmington. 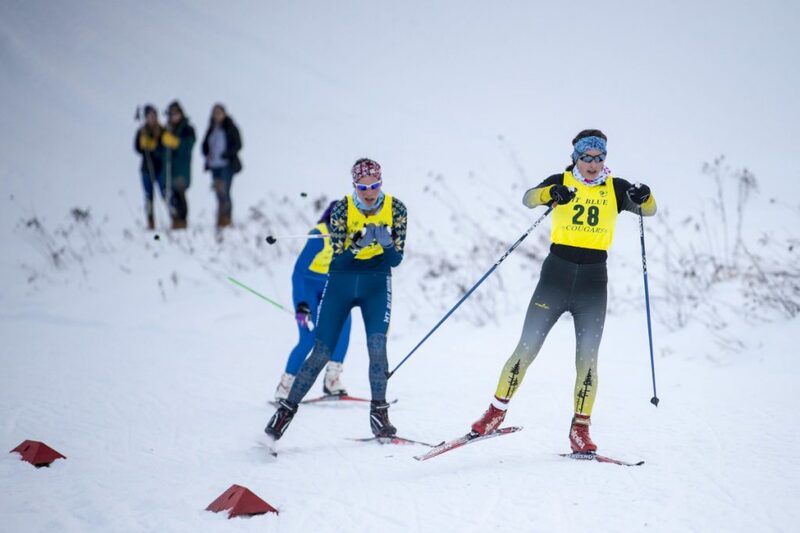 With that improved mindset, Parent went back to being one of the state’s best Nordic skiers. The senior placed fourth in the classical and skate races at the Class B championships, leading Maranacook to a third-place finish. For her performance, Parent repeated as the Kennebec Journal Girls Nordic Skier of the Year. That strength made Parent so formidable last season, and though it was an asset this year as well, she acknowledged taking to this season with a diminished intensity. Part of it was the pressure applied both internally and externally from expectations that the Black Bears, and Parent specifically, were shoo-ins to repeat their past performance. Parent said she struggled to feel comfortable early in the season. Adding to that discomfort were new classical skis and boots that took Parent weeks to get used to. Eventually, Parent decided she’d had enough. She went back to basics, forgetting about trying to reach certain standards and focusing instead on doing her best in the sport she loved. By the time the year-end races came about, Parent’s mindset had healed. She finished second in the KVAC classical and skate races, even though she beat last year’s winning classical time by more than four minutes. She trimmed 31 seconds off her skate time and cut 85 seconds off her classical time in the state championships, despite finishing lower in both. It was when those races were finishing that DeAngelis saw her progress.